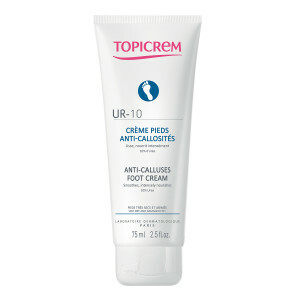 UR 10 Anti-Calluses foot cream intensely nourishes severely dry feet and repairs heel cracks. Apply by insisting on damaged areas. Do not use on wounds or on children’s skin. Repairs cracks and heels: effectiveness proven in just 14 days. 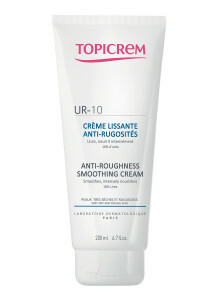 Enjoyable formula: fine and light, non sticky texture, pleasant smell. Rapid penetration to allow putting shoes on rapidly. 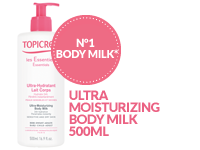 Hypoallergenic, paraben free. Apply to the feet with light massaging strokes, paying particular attention to the heels. AQUA (WATER) . PARAFFINUM LIQUIDUM (MINERAL OIL) . UREA . GLYCERIN . POLYSORBATE 60 . SORBITAN STEARATE . CYCLOPENTASILOXANE . GLYCERYL STEARATE . PEG-100 STEARATE . PALMITIC ACID . STEARIC ACID . CETYL ALCOHOL . CERA ALBA (BEESWAX ) . ALLANTOIN . PHENOXYETHANOL . CARBOMER .CHLORPHENESIN . SODIUM HYDROXIDE . PARFUM (FRAGRANCE) .